India is a destination that attracts a variety of travelers, particularly those with a deep sense of spirituality. 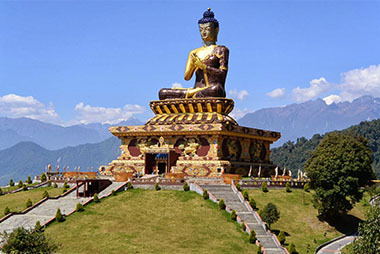 Om Travel Online Agency offers special packages and cheap India flights.Travel is relaxing. Experiencing something new clears the mind of clutter. 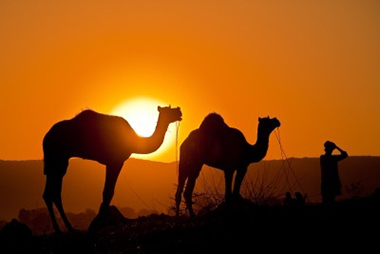 Rajasthan is a northern Indian state bordering Pakistan. Its palaces and forts are reminders of the many kingdoms that historically vied for the region.Rajasthan is a beautiful amalgamation of the old and new; the ancient and the modern. Rajasthan, or the Land of Kings, is true to its name with lavish forts and majestic palaces that are apt reminders of a rich, romantic past that speaks of heroism, honor and chivalry. Amidst a stark desert and surrounded by the Aravallis, India’s oldest mountain range, the State stands out like a beacon, attracting travelers with its rich art and culture. There are so many vibrant and colourful festivals held across the state that give visitors to Rajasthan a reason to celebrate almost throughout the year. Jammu and Kashmir is a state in northern India. It is located mostly in the Himalayan mountains, and shares a border with the states of Himachal Pradesh and Punjab to the south. In the seventeenth century the Mughal emperor Jahangir set his eyes on the valley of Kashmir. 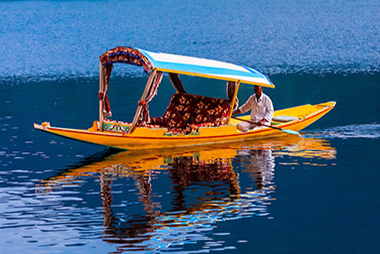 He said that if paradise is anywhere on the earth, it is here, while living in a houseboat on Dal Lake. 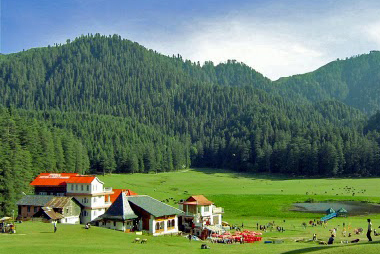 In Jammu and Kashmir the most important tourist places are Kashmir, Srinagar, the Mughal Gardens, Gulmarg, Pahalgam, Jammu, and Ladakh. Kerala, located on the south-western tip of India, enjoys unique geographical features that have made it one of the most sought-after tourist destinations in Asia. 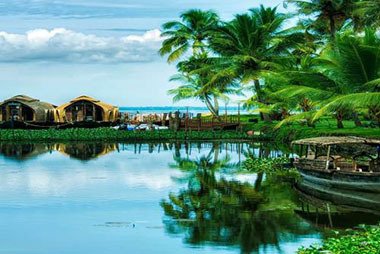 Fondly referred to as ‘God’s Own Country’, Kerala was selected by the National Geographic Traveller as one of the 50 destinations of a lifetime and one of the thirteen paradises in the world.An equable climate, serene beaches, tranquil stretches of backwaters, lush hill stations and exotic wildlife are the major attractions of this land. A unique advantage of Kerala is that most of the destinations here are only a two - four hour drive from the other.